Why does Realty Sage exist? It's simple. We are solving one of the largest and fastest growing issues in real estate: incorporating eco and energy efficient homes into the marketplace. > We are working to market and record eco features of homes. > We are finding the true market value of eco homes and helping industry leaders make better decisions about their products and services. > We are creating a global platform where buyers can access more information about potential homes, i.e., energy efficiency, features, and certifications. And, sellers can market their premium listings more accurately for a better return on their investment. > We are a real estate website that fills the gap of local MLSs. > We are combatting greenwashing through our proprietary Sage Score. The Multiple Listing Services (MLS) are not adequate. the multiple listing service, or MLS, does not adequately collect and showcase data on green features. In addition, the market is in need of real estate professionals with knowledge of green building principles and practices in order to better market high-performance homes." Read more: What is Green Worth? 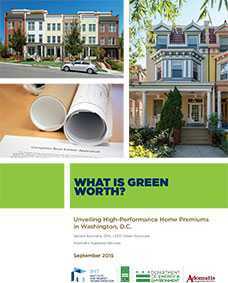 Unveiling High-Performance Home Premiums in Washington, D.C.
Why eco keyword searches don't work. Shopping for a home that already has solar panels is a smart energy choice. But finding those homes using traditional real estate tools can be difficult. shown to increase the sticker price and sales speed of a property online real estate services may not have the information you need. A keyword search may bring up solar-named streets, passive solar homes, and solar-heated pools, with solar-powered homes included in the mix. 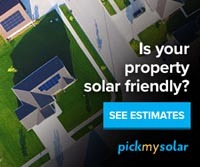 You are unlikely to find important information such as when those panels were installed, how much energy they generate, or other details that would allow you to account for the value those solar panels add to the house. 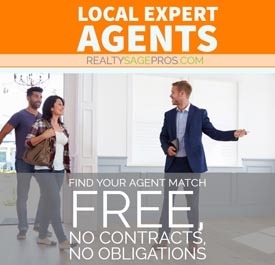 Real estate professionals and active house hunters rely on local databases called the multiple listing services, or MLSs, which have searchable information on properties for sale across the country. In addition to size, price, and location, MLSs have many details including flooring type, dates renovations were made, roofing types, and more. These details allow home buyers to compare features and understand the underlying costs of a home beyond the sticker price.